The first runner-up of the All Progressives Congress (APC) governorship primaries in Ondo State, Dr. Segun Abraham has said the party will lose the election if Oluwarotimi Akeredolu (SAN) is not dropped as its flag-bearer. Abraham stated this in his reaction to the recent clash between his supporters and Akeredolu’s at the party’s state secretariat on Tuesday. 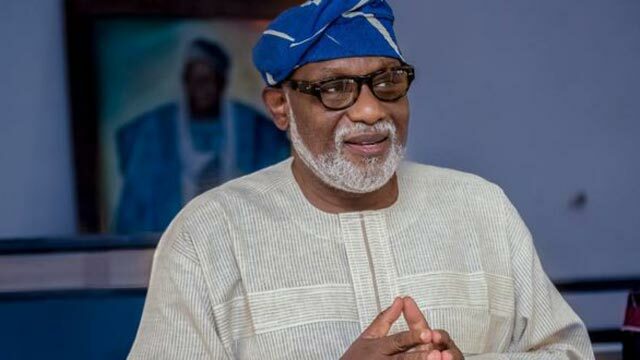 The state Publicity Secretary of the party, Mr. Abayomi Adesanya, has however defended Akeredolu’s emergence as APC’s flag-bearer, saying it is divine. Though Adesanya said there might be some imperfection in the primary, which he said is peculiar to elections worldwide, it is not enough reason to cancel the result. Abraham condemned a statement credited to the National Chairman of the party, Chief John Odigie-Oyegun that only the Independent National Electoral Commission (INEC) has the right to substitute a candidate. “No matter how long it takes, the truth will surely prevail. The National Vice Chairman, Chief Akinyelure has stated openly what transpired at the National Working Committee (NWC) meeting,” he said. He warned the APC to expect defeat at the governorship election if Akeredolu’s victory is not revoked by the party’s leadership. Abraham affirmed that the Electoral Act and the country’s constitution clearly state who can substitute a candidate. He expressed disappointment that the APC national chairman claimed ignorance of this. “I don’t want to say he has committed fraud, being an elderly person. But he should apologise to the people of Ondo State, Nigerians and President Muhammadu Buhari. “By his action, he has rubbished the anti-corruption stance of this government. He has belittled the intellect of Nigerians and they would not cast their votes for the APC on November 26. “The interest of the party should be the utmost in the mind of the chairman, but unfortunately this is not so,” he said. BEING DISCIPLINED DOES NOT INVOLVE TRANSPARENCY AND FAIRNESS. A PARTY THAT’S TALKING OF CHANGE CAN BE SO INVOLVED IN POLITICAL DAY-ROBBERY. IT’S A SHAME. party now emerges victorious, Is service to humanity a do or die issue. victory of Aketi. VOI DEI VOI POPULAE God bless Ondo State.